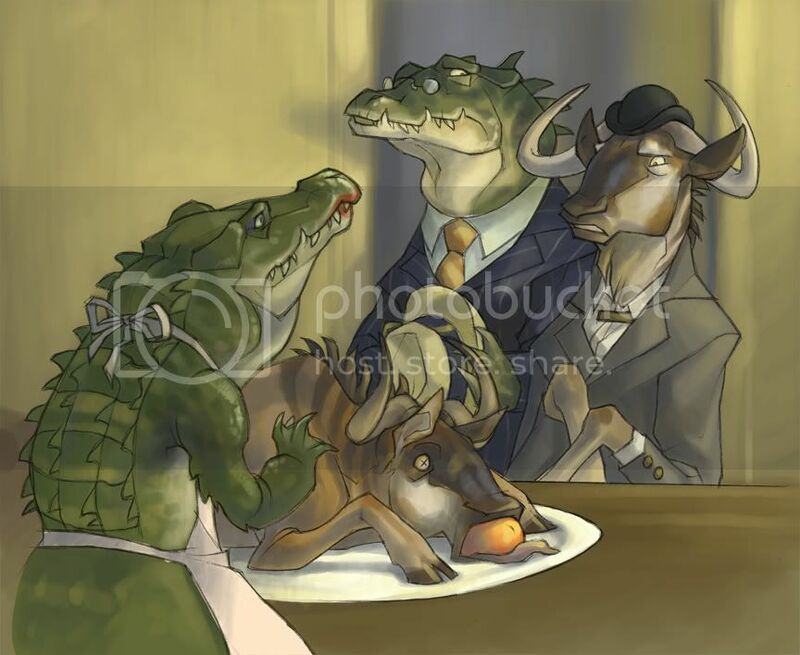 It's a crocodile businessman bringing his friend home from work who happens to be a wildebeest, only to find his wife preparing exactly that for dinner. Despite my more pessimistic attitude, the class actually picked up on the word almost immediately, so I feel like SUCH an illustrator right now. Boo-yah. I might start using this journal as a sketch journal as well, seeing how I have so much damn material to post from my trip to France, but I was wondering- would people prefer I make up a separate blog for art, or would that just be redundant?